Dumfries and Galloway Council has paid tribute to the agencies and organisations that helped make the Tour of Britain a great success on Sunday. The Council brought together a partnership to secure and deliver the Scottish Stage of the UK’s premier cycling road race. Castle Douglas was filled with thousands of visitors, who basked in the early Autumn sunshine and enjoyed the support activities to the race. The majority of shops on King Street opened to serve the spectators and a festive atmosphere built up throughout the afternoon. 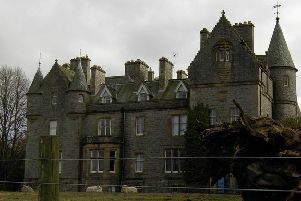 The Tour has been to Galloway nine times – more than any other area outside London.